I’m a big believer in knowing where you come from. Online community is not new. Our profession has existed since the 1980s. People came before us, and I believe that it’s important to understand, acknowledge and appreciate that. We should value and respect those who did the work before we did. In 1994, he was one of the principal architects and the first executive editor of HotWired, an early commercial web magazine. He quit after launch, wanting to do something more like a jam session than a magazine. In 1996, Mr. Rheingold founded and, with the help of a crew of 15, launched Electric Minds, an online community that was named one of the ten best websites of 1996 by TIME. Since the late 1990s, he has cat-herded a consultancy for virtual community building. Mr. Rheingold’s 2002 book, Smart Mobs, was acclaimed as a prescient forecast of the always-on era. 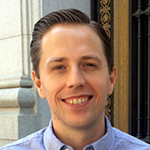 He has taught at UC Berkeley’s School of Information and Stanford University, where he currently teaches virtual community and social media. He also provides instruction online through Rheingold U. Mr. Rheingold’s TED Talk, The New Power of Collaboration, has been viewed more than 800,000 times. His latest book, Net Smart: How to Thrive Online, was published in 2012. He can be found on Twitter, YouTube and his website, rheingold.com. 00:24 Patrick O’Keefe: Hello and thank you for listening to Community Signal. I’m a big believer in knowing where you come from. Online community is not new. Our profession has existed since the 1980s. People came before us and I believe that it’s important to understand, acknowledge and appreciate that. We should value and respect those who did the work before we did. Any conversation about online community pioneers must involve today’s guest. 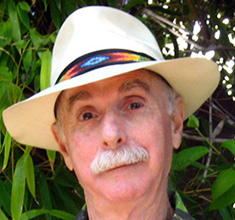 Howard Rheingold was an early, active member of The WELL, the highly influential online community founded in 1985. He is credited with coining the term “virtual Community.” And Mr. Rheingold’s experiences with online communities led him to author the book, The Virtual Community, published in 1993. His work has influenced generations of online community builders. Mr. Rheingold, welcome to the program, it’s an honor to have you. 01:09 Howard Rheingold: It’s my pleasure to be here. 01:11 Patrick O’Keefe: When I started this show, I had a list of guests in mind and you were at the top of the list. And I’ve waited because I wanted to make sure we had a good program and people were listening, but I have so much respect for your work, so it really is a pleasure to have you on. 01:24 Howard Rheingold: Thank you. 01:25 Patrick O’Keefe: The Virtual Community was one of the first books to discuss online community management, if not the first. And it took you five years, from 1987 to 1992, to find a publisher who would put it out. Why? 01:38 Howard Rheingold: Well, what my agent told me was that only electrical engineers would wanna use computers to communicate with. That was what the publishing world thought. Of course in the late 1980s, there were a lot of people online, just a small fraction of who’s online now, but there were thousands of people. 01:56 Patrick O’Keefe: Right, and so electrical engineers… It’s funny, I see community jobs these days and there was a survey done recently and some of them were in the IT department, which seems funny to me for the work that we do as community managers. 02:08 Howard Rheingold: Well, many years ago when I consulted with people about trying to get online community started, one of the most important pieces of advice was; don’t enable your engineers and your IT people to design the community. They’re good at what they do, which has to do with the way that machines work. Online communities are facilitated by technology but they happen among people and really more about people skills than about technical skills. 02:37 Patrick O’Keefe: The WELL turns 32 in February and it still exists as an online community. What do you think that says? 02:43 Howard Rheingold: Well, it’s interesting. People tend to not have a lot of historical memory. When the web first started, there was not really a widespread notion that it would be a social medium, although the internet before the web included Usenet which had hundreds of thousands of posts, and MUDs, and chatrooms. There was a lot of social action going on before the web. When the web started, it was links to webpages. And then the next big deal was you could have little graphics that took a long time to load. But the idea that it would be a social medium was not really part of the conversation. In fact, if you look up the social web on Wikipedia, you’ll see that I was the first person to start talking about through publication in around 1995, 1996. It was really when people started using the forums box that was available on the web to make primitive forums and then chatrooms. Again, around the time HotWired launched which was end of 1995 beginning in 1996. 03:55 Patrick O’Keefe: I’m about the same age as The WELL and speaking of limited memories, I talk to a lot of professionals in this space and I’ve referenced The WELL I talk about it, and what little I know about it. But not many have heard of it, and even veterans of the space, people older than me that I talk to are really surprised that I’ve heard of it. Do you think that’s unfortunate? 04:13 Howard Rheingold: I taught college students for 10 years and history, particularly the history of this medium that we spend so much time in is not really something that a lot of people know about. A great number of people. I think, believe that social media started with Facebook. Facebook was what? 2005 or something like that and the web was 1985, 20 years before that. The WELL is still in action, W-E-L-L.com. People there are still talking and I check in once in a while. It was an important milestone because it was a place where different communities came together. In fact, there’s a book written about that. Fred Turner, the chair of the communication department at Stanford University, wrote a book called From Counterculture to Cyberculture. 05:08 Howard Rheingold: People might remember that in the famous commencement speech that Steve Jobs gave at Stanford, he talked about the importance of the Whole Earth Catalog and of course The WELL was a spin-off of the Whole Earth Catalog, and what was important about that was that it brought together the hackers, back in the day when hacker meant the people who overcame technical obstacles, not people who break into computers, and the activists, political activists, the journalists like myself, also John Markoff, now The New York Times technology correspondent was there, Steve Levy. A lot of the people who’ve continue to write about technology were at The WELL in the late 1980s. It was a mixture of different communities that really created the kind of cultural ferment that made The WELL important. Also the presence of a lot of journalists, meant that it got a lot of publicity back then. And in fact, that was Stewart Brand, one of the founders of The WELL, his strategy was to spend no money on publicity, but to give journalists free accounts and that turned out to be a smart idea. 06:16 Patrick O’Keefe: I would like to take a moment to recognize our excellent sponsor, Higher Logic. 06:53 Patrick O’Keefe: Yeah, I really think there’s so much that we can still learn today, new professionals can learn today, people entering the space, hobbyist starting communities can learn today from The WELL. Because people come to the space and they reinvent it or they think they’re reinventing it, or they think they’re doing something new, and in some cases they are, but so often, there’s a cyclical nature to it. Not just going back to the 80s, but people who came in to the profession in the 90s, people who came in the profession in the 2000s [chuckle] like myself. There’s a cycling of the same ideas over and over again to tackle similar problems, and I think that exists in anything, but I just think it’s really interesting that a lot of people just don’t understand or know the history of online community. So I really try to fill in those gaps. 07:36 Howard Rheingold: Good for you, ’cause I think it improves discourse for people to understand some of the things that people figured out a long time ago. I felt it was important enough that I started teaching social media issues and social media literacies at Berkeley and Stanford 10 years ago because I didn’t think that the universities were dealing with the issues that had a lot of connection to the curriculum when you ask questions about community and social capital and collective action. Well, there are sociology and political science and economic texts that deal with that. The technologies move so much faster than the institutions that try to prepare people for them. And in fact, speaking of history, again if you go to Wikipedia and you look up, I think they call it the “Eternal September,” it used to be called “the September that never ended.” Back in the old days before the web, every September, a lot of first year students at universities would get their computer accounts and they would be able to join Usenet which was the social community online of the time, and they would not know the norms and they would transgress those norms. They would type in all caps or they would ask questions that have been answered before. So, the old-timers would educate them about don’t type in all caps, it’s the equivalent of shouting. Or check the list of frequently asked questions before you ask a question. 09:02 Howard Rheingold: And they weren’t always polite about educating the newcomers, but the norms of “how can we talk with each other even though we don’t know each other” were passed along every September. And then one September, America Online put 3 million people online one day without any kind of instruction about what the norms were, and that was called “the September that never ended” because it was no longer possible for the people who had been online to educate the newcomers about norms. So therefore, people then reinvent the wheel, they go through the same old conflicts over and over again because they’re not aware of that. Maybe that will be different 10, or 20, or 30 years from now, when the norms have solidified. But again, things are moving so much faster. The technology enables people to communicate in ways that we really don’t have norms for yet. 09:57 Patrick O’Keefe: Speaking of that, you’ve been, as you said, participating in online communities for well over 30 years. Is there anything in 2016 that still excites you about the state of online community or even generic social? This is a online community show, but generic social media, anything that still excites you about where we’re at or where we’re headed? 10:14 Howard Rheingold: Oh, I love the cornucopia of creativity of new things happening, so I know that there’s an entire culture on Tumblr, many cultures on Tumblr. There’s Vine, there’s an entire community of people around six-second videos. My daughter is working on a social app called Universe that enables people to have multimedia conversations. I love Twitter. If you know how to use it, Twitter can be a fantastic way to connect with different communities and to share knowledge and social capital. So, I’m just excited about it as I ever was. I think we have to face that now that majority of the human race is connected, people online act like the majority of the human race, which means that there are a lot of bad actors as well as people of good will. So, we have to deal with the way that some of the nastier sides of human nature can be amplified online. But despite that, it’s fantastic. If you’re a person with a life-threatening disease or you’re a caregiver for someone with a life-threatening disease, you know that online community can be a lifeline. And of course, I don’t think we even have to talk these days about the political impact of social media being a new thing. It’s not a new thing. It’s central part of our political discourse, so it continues to be important and I continue to find a lot of juicy, interesting, useful, heartwarming stuff online, along with the lot of nasty discourse that maybe wasn’t as visible before. 11:47 Patrick O’Keefe: I was gonna follow that up with a question about, what concerns you about where we’re at right now, but it sounds like it’s maybe the fact that the world’s population is online or increasingly online, and that’s forcing us to think about the ways that we communicate, how we facilitate conversation online, whether that be policies, software queues, usability, how we guide people toward productive discourse, or at least, how we are consistent with the communities we serve so that we continue to attract those same people and continue to offer value to them, rather than just allowing anyone who enters to change the space. 12:21 Howard Rheingold: Well, I think that’s very important that… Good healthy discourse online does not automatically happen. 12:29 Howard Rheingold: It’s vulnerable. I think we have to understand that the power of the web, empowers people to do bad things as well as good things. So, if you were in a minority, let’s say you have a disease that one in a million people have; well, that means that there are 2,000 people like you on the web. In the old days, you would never be able to connect with a support group that rare. Now people who have minority interests can connect with each other, and that’s useful for many, many people. But also, people who have really nasty points of view who used to be on the fringe, can now unite. And I think one of the problems is organized trolling online, misogyny attacks on women, feeling that you are communicating in a safe way, I think, is essential if you really wanna grow a community rather than a network of people who communicate with each other but don’t necessarily trust each other. That doesn’t just happen, you need to nurture that. 14:15 Patrick O’Keefe: This maybe a way of asking you the question in a different way, but I wanted to bring up the idea of where we may have fallen short? So for example, people joke about the movie Back to the Future, and they say that “In 2015, we were promised flying cars. Where are they?” So lets apply it to social media. When you’re on Facebook, Twitter obviously, other platforms, 10, 15, 20 years ago, when you were thinking about what the future looked like and writing about it, was there anything that you thought we’d have at this point that we’ve fallen short on? 14:43 Howard Rheingold: I don’t know, that’s the case. I think rather those of us who were real believers in the future of social media knew that we would have multimedia one day, that it wouldn’t just be texts on screen. I don’t think anybody dreams that every day more people would upload their own videos to YouTube than the entire history of broadcast television made available. We just didn’t dream of that. The web and the social web is developed in directions that people didn’t even dream of. I think we suspected that there would be problems, and the problems are on the same scale that the opportunities are, which is large. There are a lot of ugly things happening online, there’s a lot of bad information online. In fact, I wrote a book in 2012 called, Net Smart, in which I emphasized that crap detection, the ability to determine which information is good information and which is bad information, is now an essential literacy because there is no authority to published information anymore. It used to be you got a book out of the library and you trusted the authority of the text. Now, you can put a question into a search engine and get a million answers and it’s up to you, the questioner, to figure out which ones are true or not. 16:00 Howard Rheingold: So I think new literacies that have become essential, weren’t really even dreamed of back then. I guess I would’ve hoped back then that we would have better mechanisms for determining accuracy online, and I still think that they can be developed. And in fact, my students and I and others have created a resource for people who want to fact check health information, or political information, or social information, it’s a bit.ly/crapdetect, one word. So there’s a lot of tools that are available to check claims online; however, not a lot of people know about them. So I think it’s an important part of education. We should start educating people about social media, certainly in high school, maybe before then, because that’s when they start using it. 16:49 Patrick O’Keefe: Well said. You’ve referenced politics and in the virtual community you wrote, “Virtual communities could help citizens revitalize democracy or they could be luring us into an attractively packaged substitute for democratic discourse.” And so, we’re in a very heated election season, I just watched the second debate, and it’s about to come to a close in about a month. And it really feels like that second description is where we’re at. People are divided by hard lines. To your point about crap detection, every political leaning has their own site of blogs and communities where they can get the news that agrees with them, not necessarily objective news. And they don’t have to listen to anyone else, they can just stay in those echo chambers, they can just stay in those spaces. Have we failed to realize the potential of online discourse to improve our democracy? 17:35 Howard Rheingold: The chapter isn’t finished yet, but it is a struggle. I coined a word, it must have been more than 20 years ago, that I think describes a lot of the phenomena we’re seeing today. The word is “disinfotainment.” Whatever your political views on Donald Trump are, I don’t think anyone would disagree that he is a creature of, a product of, and a master of not so much political discourse as entertainment. And of course, I’m not the first person to raise that. Neil Postman wrote a great book called Entertaining Ourselves to Death. That has been a fear about media since before the web, and I don’t think anybody can dispute that there’s a lot of superficial aspects to political discourse today, because of the way entertainment, both on television and on the web, have attracted people’s attention. At the same time, it’s a fantastic organizing tool, whatever your political beliefs, there’s never been anything like it before. And we can now see that with a television camera in everybody’s pocket, when unjust things occur in the world, it’s not just someone saying that they occurred, the whole world can see them. And I think that that’s important as well. 18:55 Howard Rheingold: So, I think it’s also important to understand that these questions are never black and white. It’s a spectrum. And there’s some really dark stuff happening because of the attractiveness of the entertainment aspect and because of the ability to, in a very sophisticated manner, mislead people online. And the very opposite also exists. You can uncover deception as well. These things are in conflict. Whether we will end up with a better democracy or no democracy at all, I think is very much in play, and it has a great deal to do with whether people can learn to see through the superficial and the deceptive, and try to make some decisions that are based on rationality rather than the emotional impact that television has brought us. 19:49 Patrick O’Keefe: Now, I know The WELL was, it’s fire in a bottle in a way. It’s the time, the people who were there, more so than… The technology is certainly part of it, but its community is people-based. But if you were, or you knew someone who was trying to start something like The WELL in 2016, what would you use to power it? What software, what tool, what option would you recommend, would you push that person toward? 20:12 Howard Rheingold: Well, first of all I’d say, before you think about software, you should have a plan. And the plan should include the technology that you use. You should also include your marketing and by marketing I mean, “Well, who’s this for and why would they want to spend any of their overtaxed attention in your space? And how are you going to find those people? And how are you going to appeal to those people?” And also your, what I call the “social info-structure” so, what are the rules? How are they enforced? Who enforces them? What are you gonna talk about? How are you gonna organize those conversations? Unfortunately, I think that Facebook has somewhat degraded people’s ideas of what a forum should be. Facebook groups really don’t do forums very well. 20:54 Howard Rheingold: And in fact, I was invited to talk to about 100 people, the social science researchers at Facebook, a while back, and I pounded on them about it. They’re smart people. I can’t believe that this is done because they’re not aware of how forums operate. There must be a business reason for why they want the forums to be badly organized, but a good forum should remember what you, what each individual has read and which threads you are following, which you’re not, and when you log in, show you what’s new in the threads that you’re following. And Facebook, when you go into a Facebook group discussion, you see the latest thread that was posted. So things get buried very, very quickly. It’s not rocket science, these problems were solved decades ago. 21:41 Howard Rheingold: I’d love to see the return of the forum. There is good forum software, discourse.org is new and I think very, very good. Whether you’re gonna have a chat or a forum, or you’re going to have a video hangout, I think that depends a lot on who your participants are and what interests them. But I think the most important thing is, what is the center of gravity? What is the common interest that’s gonna draw these people together? Hundreds of millions of people are already sharing things on Facebook and Instagram and Snapchat. There are already support groups for every possible disease that you could imagine. What is it that you uniquely offer people in terms of a common interest? I think that that’s an important question and we haven’t run out of those, but I think that the software you use should not be the first thing that you think of. Who are the people we want to attract and what is it they have in common? I think that’s the most important thing. 22:44 Patrick O’Keefe: Well, Mr. Rheingold, our half hour is up. Thank you so much for coming on the show, it’s really been a pleasure to speak with you. 22:49 Howard Rheingold: Indeed. My pleasure and good luck Patrick. 22:51 Patrick O’Keefe: Thank you. 22:52 Patrick O’Keefe: We’ve been talking with Howard Rheingold, author of The Virtual Community, Smart Mobs and most recently, Net Smart. For more on his work, visit rheingold.com. 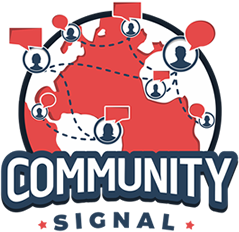 If you have any questions you’d like me to answer on the air, please submit them at communitysignal.com/qa. For the transcript from this episode, plus highlights and links that we mentioned, please visit communitysignal.com. Special thanks to Bill Johnston and Derek Powazek for their contributions to this episode. Community Signal is produced by Karn Broad. We’ll be back next week.